I have lost count how many times I have visited Montreal but it never ceases to amaze me with its beauty and European charm each time. 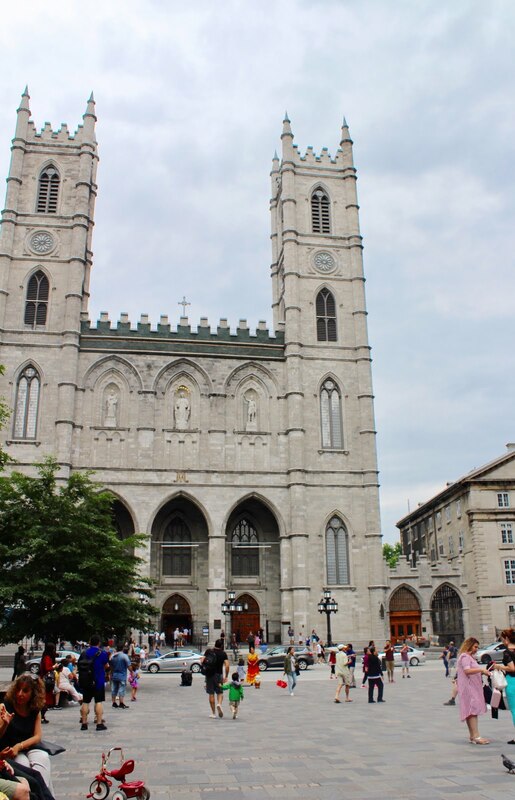 If you can't away to Europe this summer but are craving a little piece of European culture, Montreal is your destination. Having just returned from a quick trip, I have listed a few of my favourite spots; some were new to me and some keep me coming back each time I visit. If you have never been to Montreal, this is a great list to start with because it will give you a little of everything and provide you with a sense of what this great city is all about. From its night life to the foodie scene and the historical and architectural spots, Montreal really has something for everyone. Let's start with food, because there are restaurants everywhere...literally. Montreal is such a great spot for foodies. 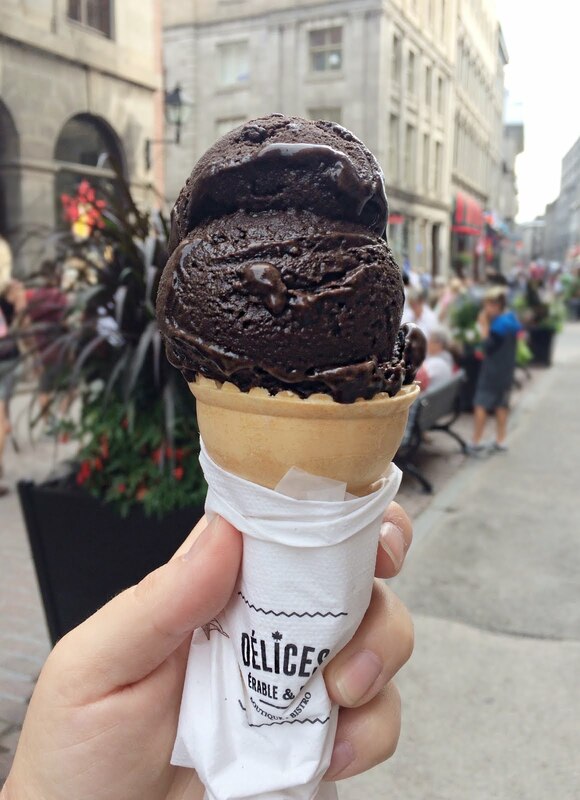 Montreal takes great pride in their food scene and so they should! You can find diverse restaurants and original menus. 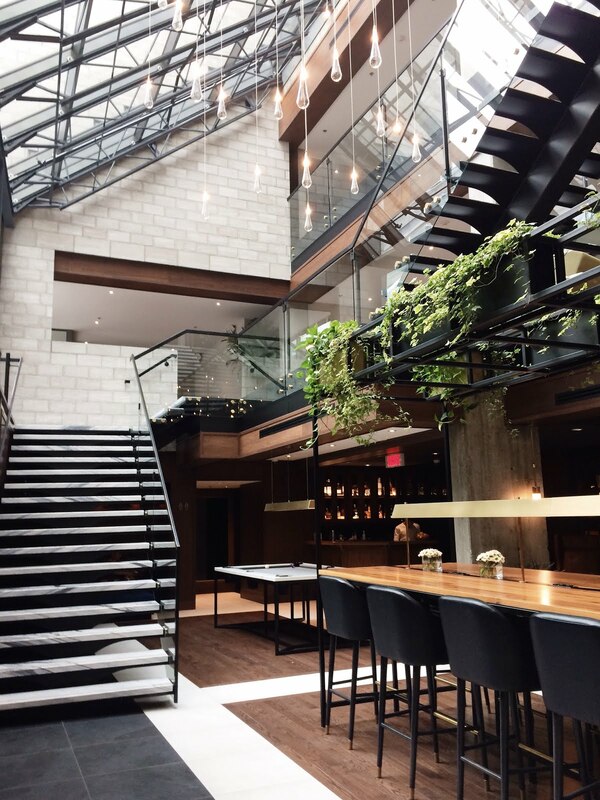 Last year, Montreal had the record number restaurants per capita in North America beating out San Francisco and New York; yep, that's a lot of delicious restaurants to choose from during your stay there. Here are a few things you should try. Gelato, Coffee and Crepes: I'm going to start with desserts because it's my favourite. 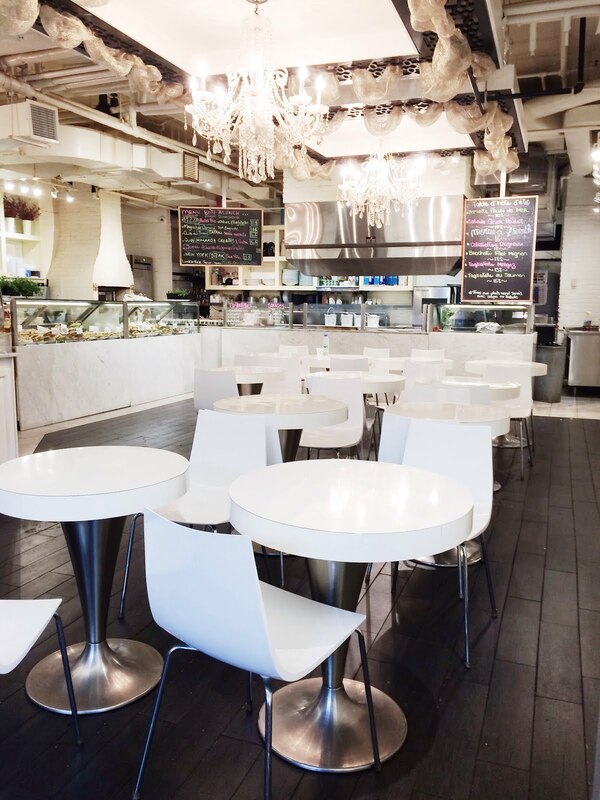 Not only can you get great gelato at Delices, you can pick up cookies and maple syrup to take back home as souvenirs. Or totally eat them on the way home (a la Ross). Smoked Meat: The first time I visited Montreal many years ago, I missed out on eating smoked meat; I didn't even know what an icon this sandwich was in Montreal. When I returned, a friend asked me if I had liked the smoked meat - I had no idea what they were talking about. I didn't make that mistake again. When my husband Marco and I returned, one of our first ventures around the city was to look for these on a menu. I recommend the ever so popular, Schwartz's. Poutine: There are so many places to get good poutine and although it's impossible to recommend just one or even decide on the 'best,' a good start would be La Banquise. If you aren't in town for long, this will give you the classic poutine experience and because it is always open - yep, 24/7, you can do all the sightseeing you heart desires before you stop in to have a bite. Shawarma: Our first stop is always Boustan. If you are looking for the best shawarma in the city, look no further. 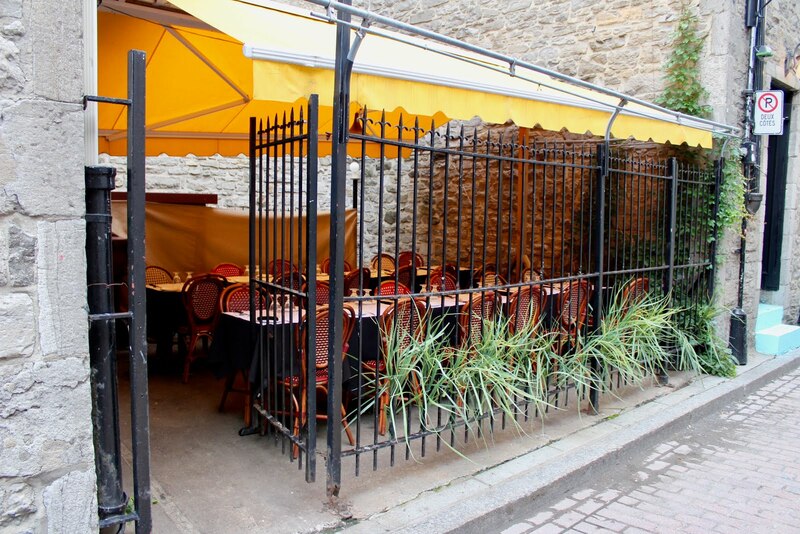 This tiny place on St. Catherine is always busy and it's no surprise why. Once you have their garlic sauce, you may not want to settle for another one. One of the great things about this spot (other than how amazing their food is) is that it's open until 4am. I suggest you take it to go as its a small place and there isn't a lot of seating area. Bagels: Ever heard of the famous Montreal bagels? 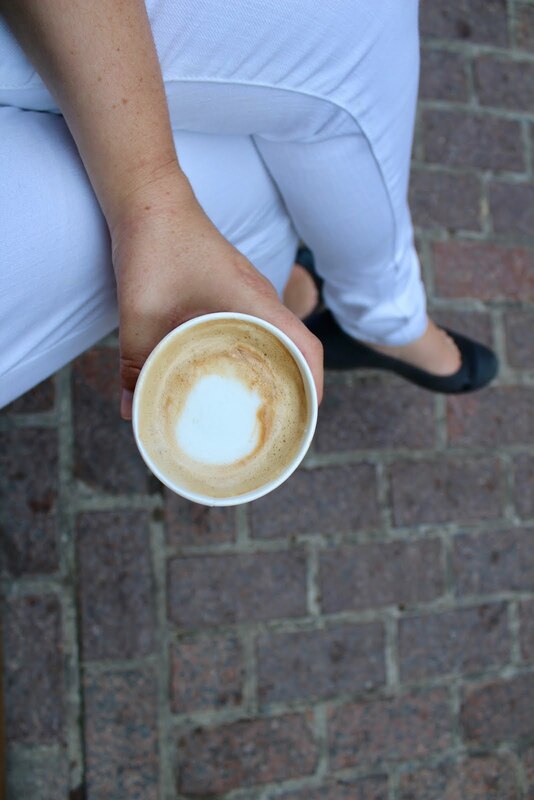 If you've made it to the city, you can't leave without first stopping by at Fairmount! There's nothing like freshly baked bagels. This was the first bagel bakery in Montreal and they haven't stopped being the best. This bakery opened in 1949 and continues to be family owned. The bagels are rolled by hand and baked in an old fashioned wood fired oven. It's carb heaven, trust me. Looking for a gourmet experience? 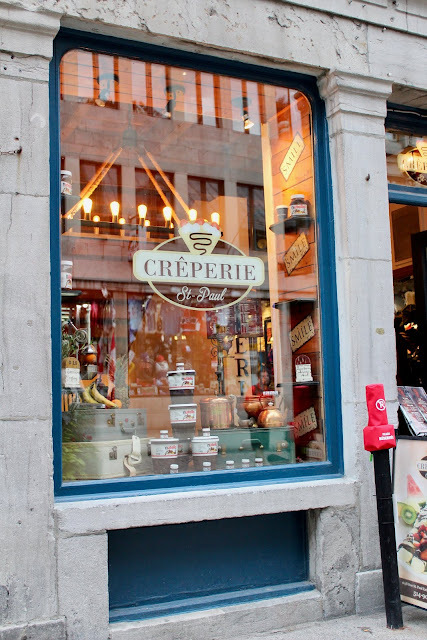 Capture the culinary heritage of Montreal by trying one of the many food tours! This beautiful district is perfect for strolling all day on cobblestone streets, stepping into art galleries and taking in the architecture. Make sure that you walk, don't drive there. 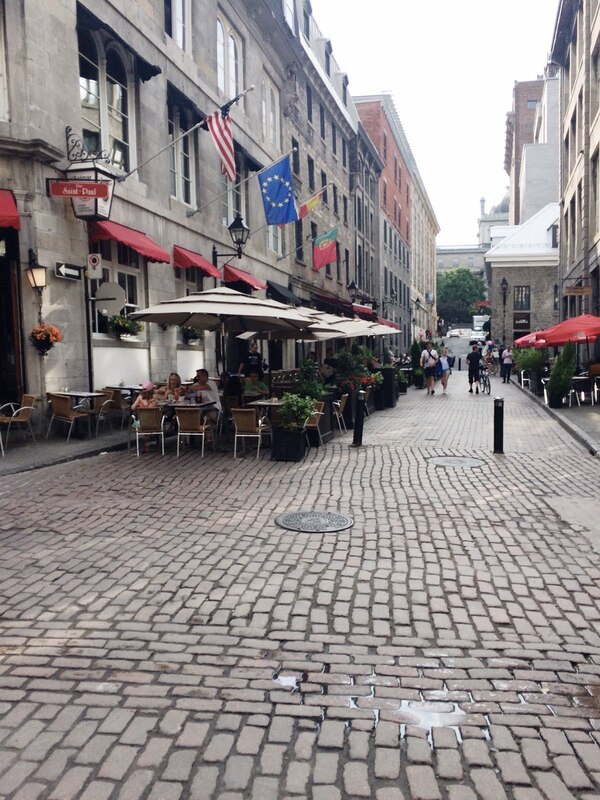 Start by stopping by at Place d'Armes. 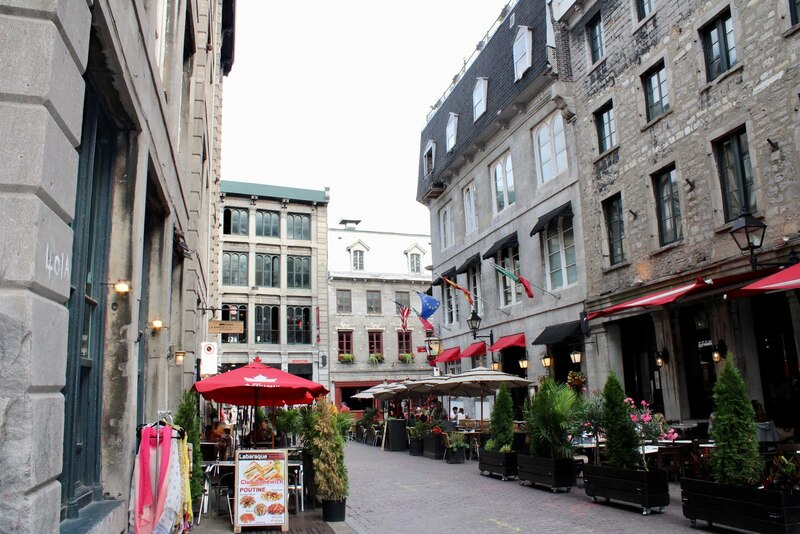 It is one of the most historical public squares in Montreal. With the fountain, carriage rides and architectural beauty all around you, you'll think you have stepped into a movie. Can you spot Marco and our little traveler on the picture above? He parked his tricycle and went off to see the Spanish performer in the square. 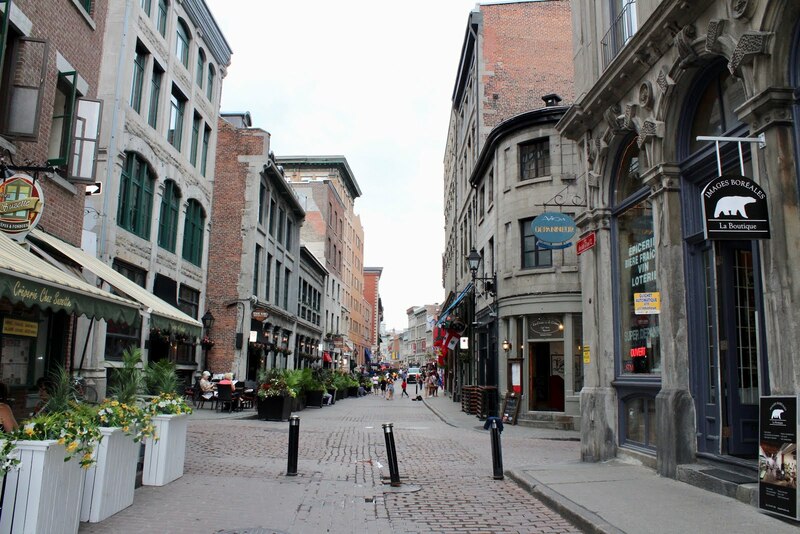 One of the most stunning spots to take a walk on is St. Paul Street. With its cobblestone streets and old world charm, you'll think you're in Europe. Although you may get distracted by performers and buskers, Place Jacques Cartier is a beautiful spot in the city and will take you to Montreal Town Hall. If this building takes you back to France, that is because it was actually modelled after the Tours Town Hall near Paris. Skip the tourist souvenir shops and you'll find the cutest little cafes and shops on almost every street you decide to walk down in Old Port. 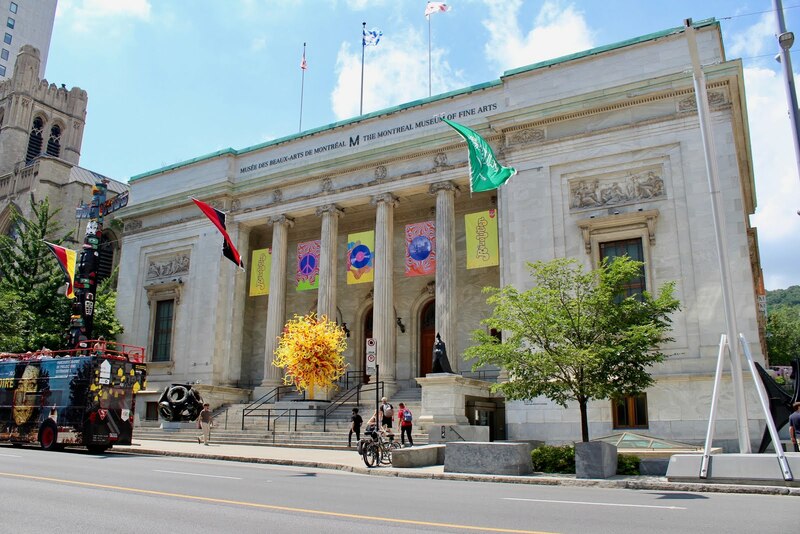 MUSEUMS & ART GALLERIES: There are so many museums and art galleries to enjoy in Montreal. Begin with Montreal's largest, Montreal's Museum of Fine Arts, located on Sherbrooke Street (which is also an amazing street for strolling). It features 5 pavilions and a permanent collection of over 42,000 works. DHC/ART is a non-profit gallery is located in Old Montreal and features award-winning exhibitions. If you're into contemporary art, this is definitely a must-see. Montreal has so much to offer! These were just a few of my highlights from our short trip. Let me know below if you've been to Montreal and other great places/restaurants you've tried there!